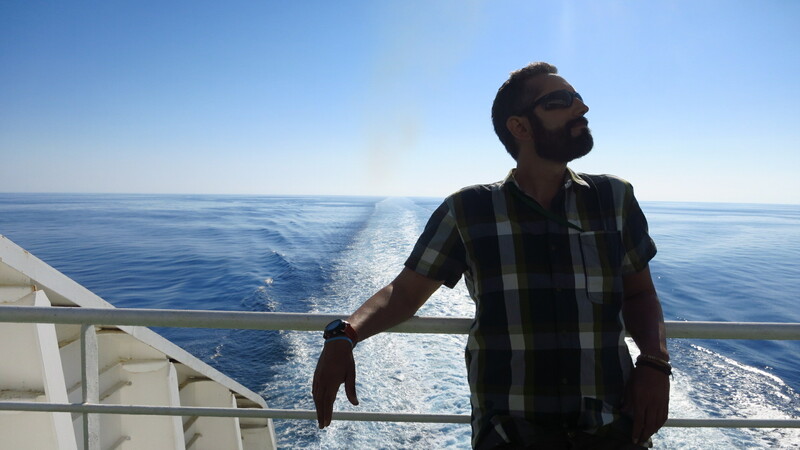 Grimaldi Ferries could be considered the Ryanair of the Mediterranean – the cheapest way to get yourself and your vehicle to your holiday destination from Barcelona, and it shows. You get what you pay for, and the advantage of this is that if what you want to pay for are your holidays on the Balkans and not a cabin on a cruise across the Med, you can board with a deck ticket and just find a quiet spot to lay down your camping matress to spend the night and no one will look at you twice. Everybody does it. So we found ourselves a “luxury” corner (one with a power outlet) and settled down for the night. The following day was a lot quieter than first impressions had led me to expect, and time was mostly spent writing this blog, playing cards and reading between the top deck and a small deserted shaded side deck two levels down with a nice sea breeze. 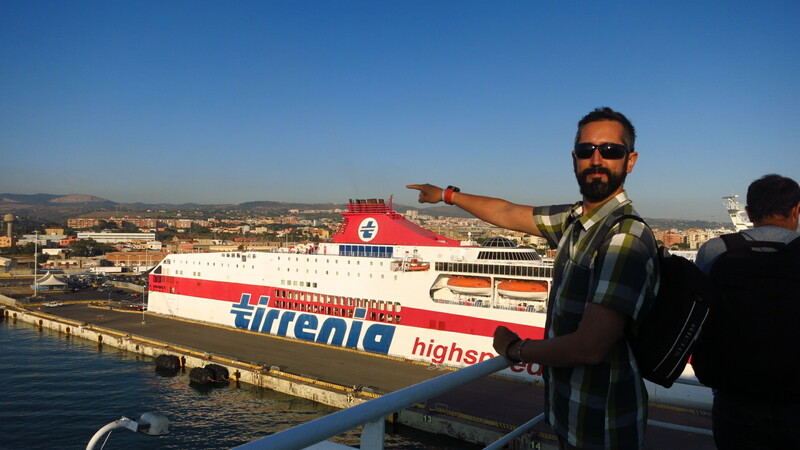 The journey felt a lot shorter than it really was, and despite the initial two-hour delay, we were in Civitavecchia at about 19:30. We had a bit over 100km to get to Terni, a town more or less halfway across Italy where we were going to spend the night, and Italy welcomed us with a great country road gently sweeping across fields and low hills with the sun glowing red as it set in the background. This entry was posted in Balkan Adventure 2016, Travel and tagged Civitavecchia, Grimaldi, Honda CRF 1000L, Terni by Kilian. Bookmark the permalink.